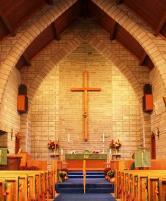 We are a welcoming, open Anglican church located in the heart of trendy Bronte village (Oakville, ON). You can expect a friendly congregation, a warm welcome and hope for the future. Our congregation is made up of many ages and backgrounds united by our love of Jesus Christ. We are part of the Diocese of Niagara. A spoken service in traditional language. A family communion service in contemporary language with a choir and music. Sunday School and a self serve nursery are available. Refreshments and a time of fellowship follow every service. A small, quiet communion service held in the choir pews. The content of the service varies but is always followed by refreshments and a time of fellowship. A small spoken communion service for residents, friends and family. OSCR is located at 2220-2222 Lakeshore Road West, Oakville, ON. Welcome To The Oakville Church Of The Nazarene! You will find our Church Family an enjoyable place to worship God, The Father, The Son, & The Holy Spirit. It is also a place to make new friends, and to be encouraged and challenged to live the Christian Life in your community! We hope to have the joy sometime in the future to greet you in person. Walton is a very active congregation with a warm and welcoming atmosphere. We would like to share with you more about our wonderful Community of Faith and our role in the community. Come join us at Church!